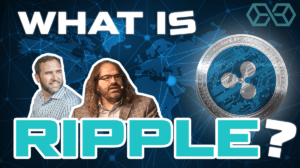 Ripple was created by Ripple Labs Inc., as a network which aims to provide instantaneous and secure financial transactions of any magnitude, at negligible cost. In a nutshell, as long as there are people that are willing to exchange a type of currency or trading pair, with Ripple, there is a way to send and receive the said pair. Unlike most cryptocurrencies, Ripple, a so-called altcoin, does not use the mathematical proof-of-work system. Instead, it depends on a protocol of consensus, which requires users to give their trust to nodes that are responsible for maintaining the integrity of the network, rather than to miners. Traditional financial transactions are slow and expensive, and there is no clear global network or arrangement for these transactions. Ripple seeks to make this process incredibly efficient by using blockchain technology and the use of its token, XRP. Quick Fact: The initial Ripple project was started in 2004 by Ryan Fugger, a web developer, with the goal of constructing an innovative type of monetary system. Ripple is constructed upon an open source distributed internet protocol and supports tokens which represent anything from currencies and commodities to air miles. It aims to increase the efficiency of transactions between financial institutions. To better illustrate what Ripple is, it is simpler to journey back in time to its predecessor, Ripplepay. 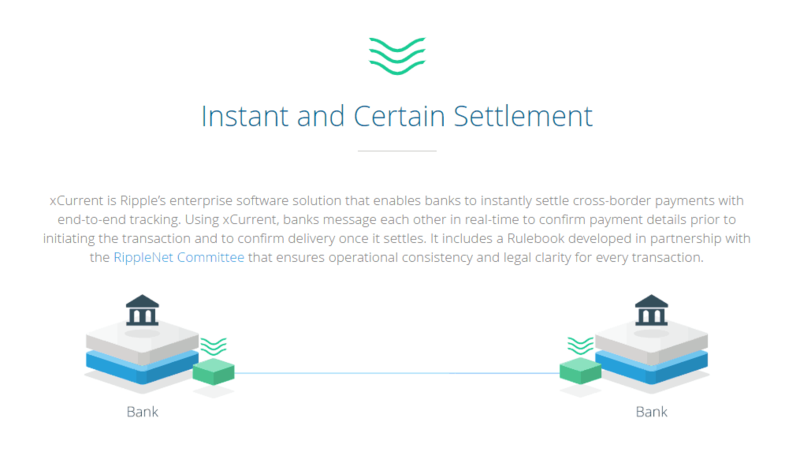 The Ripplepay service enabled interconnected businesses to control and conduct payments between each other. Brad is the CEO of Ripple. He is an angel investor and was previously the Chairman and CEO of Hightail. 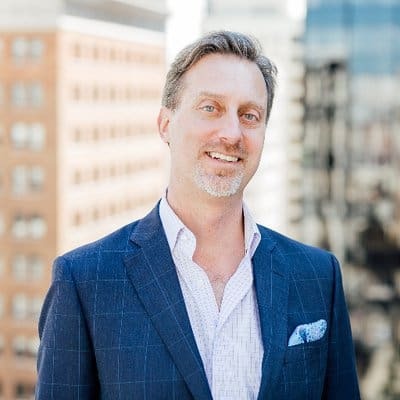 He joined Ripple Labs as COO in April 2015. Inside RipplePay accounts, a profile was created which indicated how much trust you place in other accounts by assigning them credit limits. Whenever a user needed to make a payment to another user, the service would find a sequence of intermediaries which connected to the desired payment beneficiary and recorded the said payment in each account throughout the sequence. Thus, you would end up owing one “friend” who was owed by another – a similar process to financial IOUs. Some years later, Ripple Labs, which at the time was called Opencoin, took over Ripplepay and wholly redesigned the protocol. While the main concept still shared many similarities, which mostly revolved around the concept of IOUs, it incorporated characteristics of a digital cash system and included their new token, XRP. Ripple has already attracted significant financial institutions to its network, including but not limited to BBVA, RBC, and Santander. Quick Fact: Ripple’s technology is divided into several parts: xCurrent, xVia, xRapid and the token, XRP. Let us illustrate the concept of Ripple with an example which explains how this works in practice. Let’s suppose that there are two couples out on a dinner, Adam & Beth and Chris & Diana. Beth and Chris know each other, but Adam has never met Chris or Diana, and Diana likewise has never met Adam or Beth. Now suppose that Adam and Diana are left alone to pay for dinner. However, Diana has forgotten her purse and does not have any funds to pay. So, Adam pays for both dinners ($10 each). Since Adam and Diana do not know each other, Diana agrees to owe $10 to Chris, who in turn owes $10 to Beth, who in turn owes it to Adam. Now, let’s suppose that Beth already owed $5 to Chris, in which case half of the debt would be canceled, and Chris would only owe $5 to Beth. The key point is that there is an established network of trust between these people, based on individual relationships. This allows money to change hands between two parties, even if they do not know or trust each other. On an elementary level, this idea shares many similarities with the current operating procedure of the banking system. International wire transfers are gathered together by banks, who then perform as much canceling out as possible before making transfers between banks. If one bank takes in more than it gives out, the accounts are balanced through various systems designed for that purpose. RippleNet is a network of banks and institutional payment-providers which use solutions developed by Ripple, with the aim of efficiently sending and receiving transactions across the world. In a way, it is a payment network which technically does not move money. Going back to our dinner example, if you use a credit card to pay for the dinner, all that has happened is that you owe the bank some money, and the bank owes the restaurant, while no transfer actually has taken place. The bank has yet to transfer the money, and you have yet to pay your credit card bill. The tangible movement of money is titled “settlement”, and RippleNet allows this to happen in real-time. Note: See the RippleNet Brochure to explore this in more detail. What are the benefits of Ripple? Ripple aims to be the leading cryptocurrency which connects financial institutions and payments providers throughout the world, emphasizing the speed of transactions, negligible costs and ease of use. So, its main benefits are that it provides secure, cheaper and faster cross-border transfers and transactions. Compared to other cryptocurrencies, the main advantage of Ripple is that it has real-world applications, currently used by over 100 companies throughout the world. Also, since any discussion on the value of a coin must take into account its contentious relationship with Bitcoin, Ripple enjoys an advantage since it does not seek to contend with it, rather than complement it. Ripple can help facilitate a bridge between Bitcoin and the mainstream financial world, by helping facilitate transfers of Bitcoin from one account to another. How fast are Ripple transactions and how much do they cost? Ripple possesses one of the fastest blockchains currently active in the cryptocurrency world, with transaction times of only two to four seconds. In comparison, a transaction on the Ethereum blockchain takes approximately two minutes, while a transaction using Bitcoin currently takes around 15 minutes. Besides the substantial increase in speed of transactions, the costs of said transactions (paid in XRP) are astonishingly low using Ripple. Ripple destroys a small percentage of XRP on every transaction, subjecting the currency to deflation. The minimum cost for a transaction on Ripple is a mandatory minimum of 0.00001 XRP. Since 2015, transaction costs, on average, have been less than $0.01 in Dollar terms. 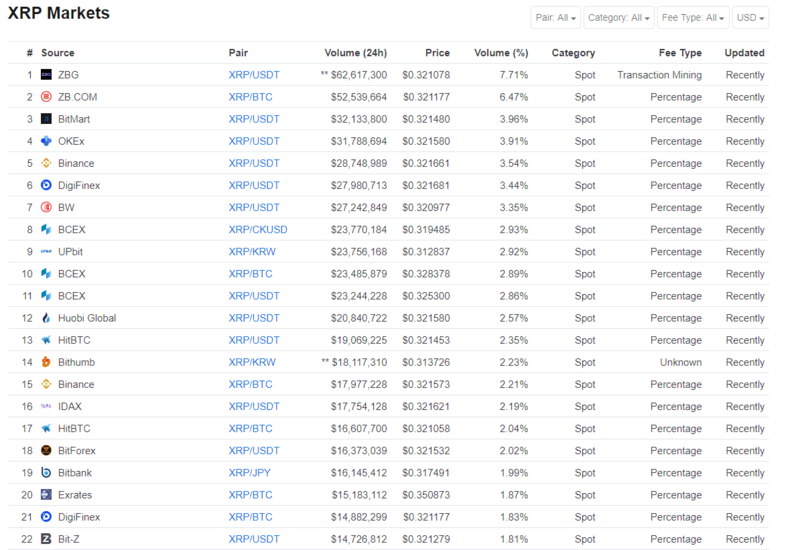 Ripple’s XRP cryptocurrency is listed on most major crypto exchanges. The exchanges and trading pairs available can be viewed on CoinMarketCap. If your exchange of choice does not have a fiat pair, you will first need to acquire Bitcoin or another cryptocurrency, transfer it to an exchange which has an XRP trading pair listed and trade it for XRP. XRP is not currently available on Coinbase, although they recently revealed that they are considering including it. Will Ripple be the next Bitcoin? How is it different to Bitcoin? At the most basic level, the mechanism used by Ripple for keeping track of balances has a lot in common with the mechanism of Bitcoin. For example, they both have the concept of public/private keys and addresses. Furthermore, any modification to the database is conducted through digitally signed transactions. However, that is where the similarities end. Ripple is an internet transaction protocol which permits individuals to conduct transactions in any currency, while Bitcoin is a cryptocurrency. For example, Person A can use Ripple to pay in Euros, while Person B can directly receive US Dollars through Ripple. Also, while Bitcoin is secured through a process called mining, which involves special hardware solving mathematical equations, Ripple uses another method. Ripple transactions are broadcasted throughout the network and checked by specially selected nodes (or servers) to reach consensus. Ripple is not a direct competitor to Bitcoin, so it is unlikely to replace Bitcoin. Ripple Labs are a technology company founded in 2012 and based in the US (San Francisco, California.) They are responsible for the development of the Ripple Payment protocol. Initially, the company was called Opencoin, and it renamed in 2015 to Ripple Labs. Are XRP and Ripple the Same? Ripple and XRP are not the same. While Ripple is the company, XRP is the token created by it in order to assist in their transactions. XRP is the decentralized native currency used by the XRP ledger. At press time, XRP is the third largest cryptocurrency by market capitalization. This makes XRP the second largest altcoin. XRP is currently divisible to 6 decimal places. The smallest unit is 1/1,000,000 of 1 token, and it is called a “drop”. At the time of Ripple’s creation, there were 100 billion tokens, with a cap on supply so that no more tokens could be created. Due to the fact that a small percentage of XRP is destroyed in every transaction, it is a deflationary asset, with a diminishing available supply. While it is not mandatory for the users of the network to use XRP as a medium of exchange nor as a store of value, every account is obligated to have a balance of a minimum 20 XRP. What does XRP stand for? 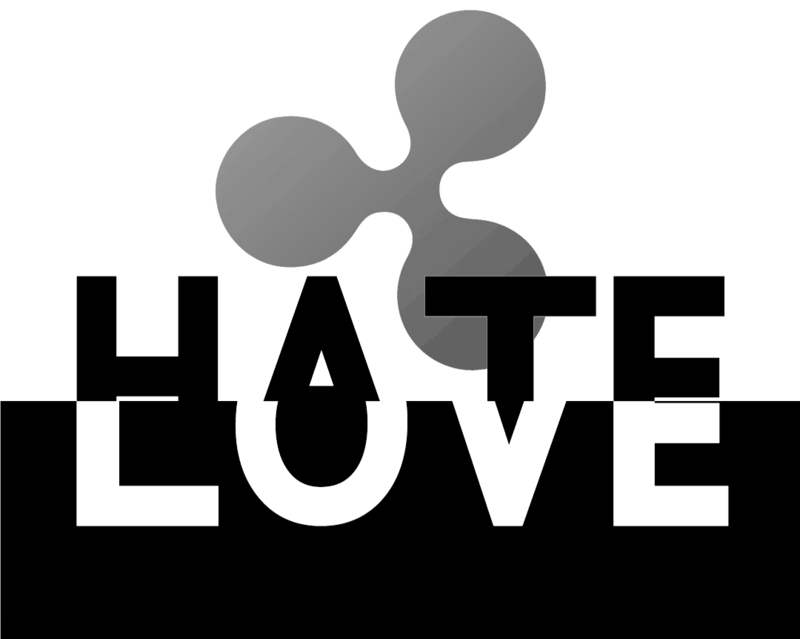 XRP is an abbreviation of Ripple to “RP” prefixed with an X. You will see Ripple’s XRP token listed on exchanges. One of the essential functions of XRP is as a mediator currency. It can be used in cases where there are no immediately available direct exchanges between two trading pairs. Thus, within the network, XRP is freely traded against other currencies. Ripple’s primary focus is not to establish itself as an alternative currency, but instead to facilitate trade between two currencies. XRP can be thought of as a Joker card, meaning a card that can take the form of any other card. The transactions costs on Ripple are less than $0.01. So, financial institutions which plan to use XRP would increase their reach to emerging markets amidst significantly lower costs. Is there a supply limit for XRP? The total supply limit of XRP is 100 billion, with a circulating supply of around 40 billion. How are the XRP tokens distributed? As for distribution, out of the initial 100 billion, 20 billion were withheld by the creators. The remaining 80% were handed to Ripple Labs in order to increase the liquidity available and strengthen the overall market. However, amidst concerns surrounding the supply of XRP, Ripple placed 55 billion XRP into a secured escrow. The escrow allows them to use a maximum of 1 billion tokens monthly, and unused tokens must be returned at the end of each month. As for storage, one of the most widely used hardware wallets, the Ledger Nano S supports XRP storage. Since it is a hardware wallet, it is an exceptionally safe way to store your currencies and relatively easy to use. We always recommend the use of a hardware wallet where supported. Toast Wallet is an open-source XRP wallet that is free to use and available on IOS, Android, Windows, Mac, and Linux. Toast Wallet is a software wallet, so we would not recommend storing large amounts of XRP in it. Until recently, XRP has had a fairly limited actual use in cross-border transfers. This has lead some to speculate that the XRP token is not the primary source of Ripple’s value, which instead should be attributed to the xCurrent software. The arguments suggest that the higher interest in xCurrent compared to xRapid can be used as evidence that the token is not indispensable for Ripple’s technology. Detractors say that the token has resulted in a more centralized, problematical and more vulnerable protocol, and that the original concept of RipplePay worked better. However, its supporters insist that xCurrent only precludes the expansive use of the XRP token, and its use would help mitigate liquidity problems for banks. You can buy XRP on a number of cryptocurrency exchanges including Binance, Bittrex, Bitfinex, Bitstamp, Kraken, and many others. Can you buy it on Binance? Yes, XRP can be purchased or traded on Binance using BTC, ETH, BNB or a stablecoin such as PAX, TUSD, USDC, or USDT. How much is XRP worth? At the time of writing, XRP is worth $0.322468. The current price can be seen above in the CoinMarketCap widget. The current daily volume is around $800 million according to Coinmarketcap, which takes into account data from all exchanges. This is considerably lower than the volume during the peak of December/January, in which the average daily volume was more than $3 billion. Since this article is not intended to offer any financial advice, this is a more difficult topic to handle. There is no guarantee that the price will rise in the future. However, Ripple is one of the more promising cryptocurrencies, and possibly the one that possesses the most real-world use. Furthermore, Ripple employs more than 150 people, making it the largest cryptocurrency by employee numbers. xCurrent is a platform which assists in the completion of cross-border transfers. Financial institutions such as banks use it. Its software uses a protocol which attains the necessary payment information and communicates it to the institutions that are involved in the transaction. The platform starts with the process of validating the accounts involved in a transaction. Once this has finished, it generates cryptographic signatures which verify that the funds exist and accessible. Finally, the funds are released simultaneously to all parties involved. Out of the three platforms, xCurrent is currently the most utilized, with more than 100 financial institutions adopting it in one form or another. Some of these institutions have moved beyond the test phase and are using it for live transactions. However, xCurrent does not work very well with cross-border transfers where the traded pair is illiquid. In order for it to work correctly, a liquid trading pair such as Euros and Dollars is necessary. In cases where the traded pair is illiquid, xRapid does a better job than xCurrent of handling the transfer. The initial funds are transferred into XRP, the token is used to buy the beneficiary’s currency and then transfer the funds to the initiator. The platform would use the Dinar from company A to buy XRP, then proceed to convert it to Tenge, and deliver that to company B. The algorithm would immediately choose the best market makers for both the Dinar/XRP and XRP/Tenge pairs to find the best rates. This makes the transaction easier, since company A does not need to hold Tenge in a bank in Kazakhstan, nor would it need to find a broker willing to do the currency conversion. As of right now, a small number of payment providers (including but not limited to MoneyGram and Western Union) are in the testing phase of operating on the xRapid platform. 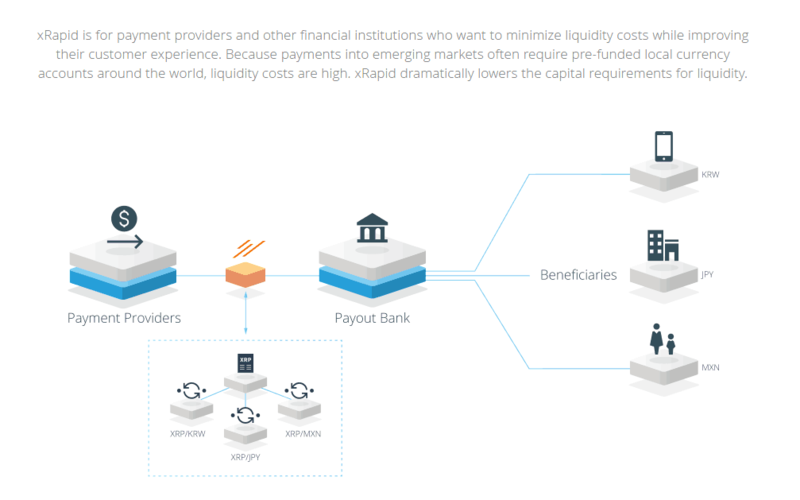 The main barriers which xRapid faces come from XRP’s lack of liquidity. For the platform to be successful on a large scale, XRP would need to be listed on most exchanges throughout the world with a considerable level of trading volume. xVia is an interface designed to make xRapid and xCurrent simpler to operate. xVia’s simple API allows users to send payments effortlessly across the globe. xVia users are able to attach information to payments such as invoices. Ripple cannot be mined. Instead, it relies on validators, in the form of nodes, to secure and maintain the network using its consensus protocol. In most cryptocurrencies, there are financial incentives in place for Proof-of-Work miners so that they can be rewarded for securing the network. While this concept aids in the level of decentralization of a platform, it has a significant speed trade-off. Ripple needs to be fast and therefore cannot use a Proof-of-Work mining algorithm. How is consensus reached in Ripple’s protocol? The Ripple Protocol works with a consensus algorithm, which is applied by nodes every few seconds, to preserve the integrity of the network. Once the network reaches consensus, the current ledger is deemed “closed,” becoming the last-closed ledger. The last-closed ledger would be identical on all nodes of the network. The server then votes on the truthfulness of these transactions, and those that receive more than 50% of “yes” votes, pass to the next round. Those that do not are discarded. The final round necessitates a minimum percentage of 80% of nodes to agree on a transaction. Finally, all transactions that pass are added to the ledger. It is then closed and becomes the last-closed ledger. Note: You can read more about the Ripple Protocol Consensus Algorithm in the whitepaper. The network accepts transactions from various nodes. If the transactions are approved by 50% of the nodes, the batch is pushed forward for higher ratings of approval. The transactions is written on the ledger once it reaches 80% of approval from all nodes. The level of decentralization of Ripple is a much-debated topic. Many argue that Ripple is not decentralized and that XRP should not qualify as a cryptocurrency since the company owns more than 60% of the tokens. However, as stated previously, the majority of these tokens are held in an escrow. Detractors also argue that only validators which are authorized by Ripple can help to secure the network, meaning that everyday users’ have no part in securing the network. This selectiveness arguably results in a more centralized method of achieving consensus. The company continues to state that the complete decentralization of the ledger is not essential nor required for its goals, and security reasons dictate that only trusted parties should have control. As of right now, the top 10 accounts hold 81% of the tokens. However, at the beginning of January, the CTO of Ripple, David Schwartz, stated that the number one priority for 2018 was increasing Ripple’s decentralization. This is precisely why increasing decentralization is so important to us. As I’ve said, it’s my number one priority for 2018. The primary function of Ripple is to act as a fast, low-cost network for payments. Its main aim is to assist the financial sector by providing a system that transfers assets instantaneously, more efficiently than the systems banks use today, such as SWIFT. Ripple has many partnerships with both banks and other financial institutions, many currently using xRapid of xCurrent. Some of its more notable partners on xRapid are Santander, MoneyGram, Western Union Barclays, Royal Bank of Canada and the National Australia Bank. Partners using xCurrent include American Express, Santander, National Bank of Kuwait. Mitsubishi Corporation, BBVA, Western Union, Bank of England and Merrill Lynch. Note: There is a thorough document containing Ripple’s existing partnerships and RippleNet implementations on Google Drive. Can Ripple compete with SWIFT? Currently, SWIFT is the undeniable leader in the market for international payment services. It garners support in 15 countries from 239 banks and has more than 10,000 individual users in more than 200 countries. Ripple can be considered a competitor to SWIFT. Ripple benefits from more advanced security, faster transactions, lower fees and lower risk of fraud. However, to overtake SWIFT, Ripple needs to gain a significant market share. The main hurdles are regulations, new cryptocurrency competitors, and hesitance from the banking sector. 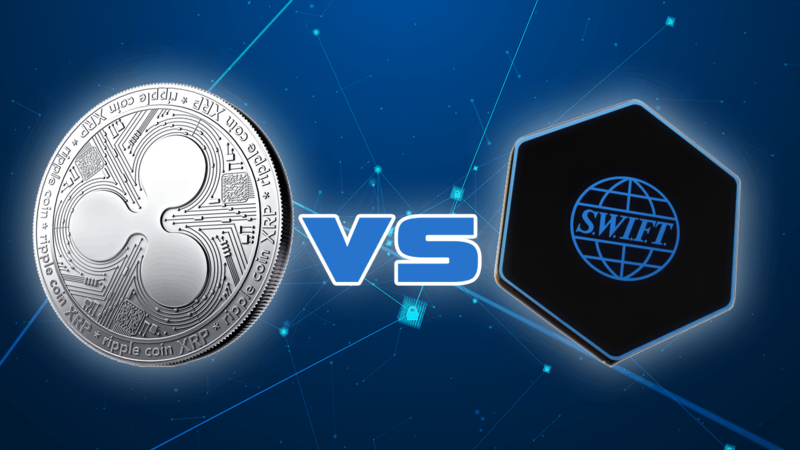 Ripple vs Swift – Can Ripple dominate the market going forward? Gateways are businesses which provide entry points to the Ripple Network. Through a gateway, users can transfer both traditional funds and cryptocurrency. One of the first Ripple gateways was Bitstamp. A customer can use the gateway for three main purposes: Depositing, transferring and withdrawal. The protocol built by Ripple Labs includes an API for the payment network, based on the popular REST API. Ripple did not initially start as Ripplelabs. 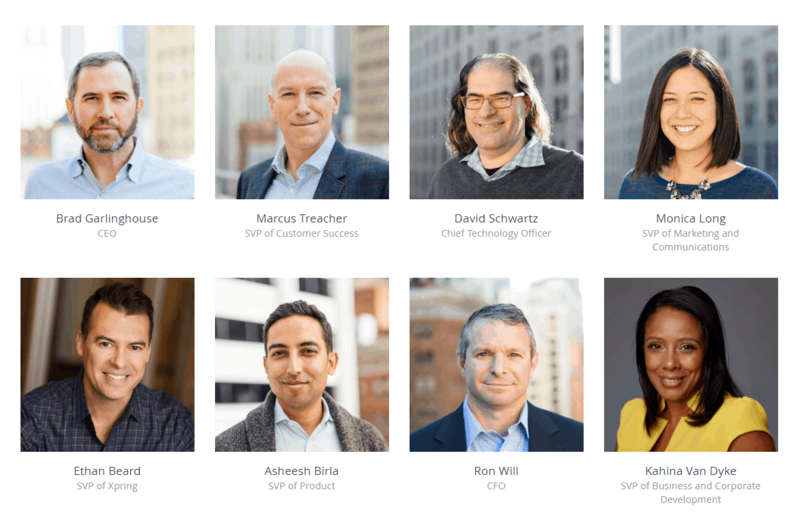 While an extremely accomplished team is now at the helm, neither the founder nor the co-founding members are with the company today, with the exception of Chris Larsen who remains on the executive board. Ripple was founded in 2004 by Ryan Fugger, who was working in Vancouver on a local exchange trading system. His goal was to create a decentralized monetary system, which in turn would endow communities and individuals the ability to produce their own currency. 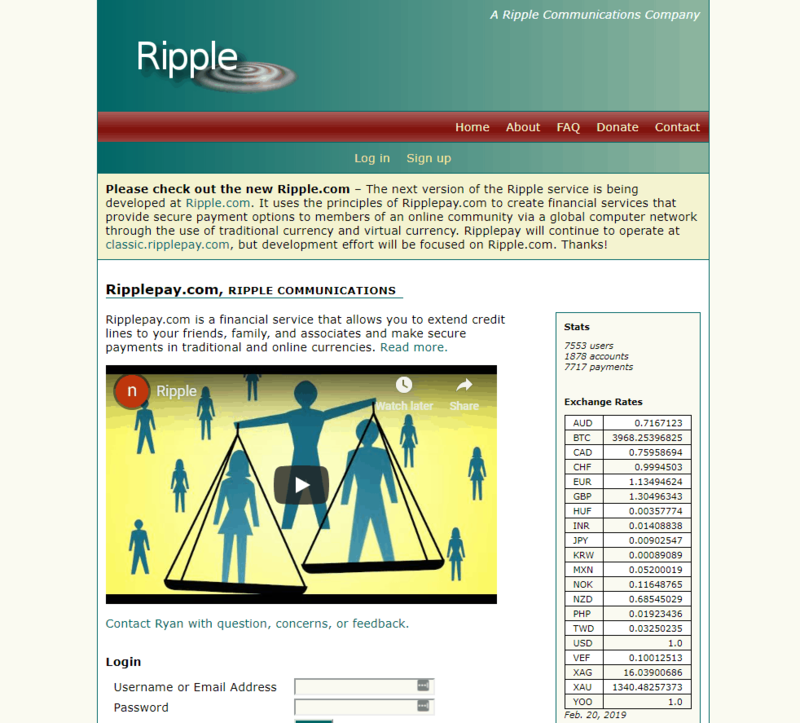 Later on, the first iteration of the system, RipplePay (2004-2012) was built. After a while, in May 2011, a digital currency system, which verified transactions by consensus amongst the network members, started being developed by Jed McCaleb, the Founder of Mt.Gox. This concept led to the creation of the XRP token in January 2013. In 2012, McCaleb and Chris Larsen, the former chairman of E-loan, contacted Ryan Fugger with their idea, and after prolonged discussions, Fugger stepped down. Finally, in September 2012, McCaleb and Larsen co-founded OpenCoin, which was the first of three name changes until 2015, when it would become Ripple. As OpenCoin was developing the Ripple Protocol and payment and exchange network, it announced on April 2013 that it had received funding amounting to $1.5 million from Andreessen Horowitz, IDG Capital Partners, Google Ventures and Vast Ventures, among others. This was the first round of venture funding. Then, OpenCoin started developing the Ripple Protocol (RTXP) and the Ripple exchange network and payment system. Jed McCaleb left Ripple in July 2013. In September 2013, OpenCoin formally changed its name and became Ripple Labs, which In May 2015, was fined $700,000 for violating the Bank Secrecy Act. Finally, in October 2015, the company settled the name, Ripple. 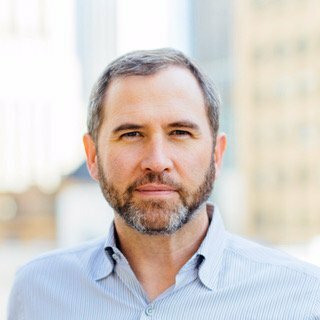 Brad Garlinghouse – CEO. Formerly Chairman and CEO of Hightail, President of Consumer Applications (AOL), Senior Vice President (Yahoo). Active angel investor in more than 40 companies. Garlinghouse has an MBA from Harvard Business School. David Schwartz – CTO. Formerly worked at WebMaster Incorporated, Internet Gateway Connections and Worldwide Internet Solutions. Completed his education at the University of Houston. Ripple is one of the most polarizing cryptocurrencies around. Its supporters point to the high number of partnerships, real-world use cases and high market capitalization, while detractors point to a lack of decentralization and its aim to help, rather than eliminate, the banking sector. Ripple and XRP are a little like… Marmite! 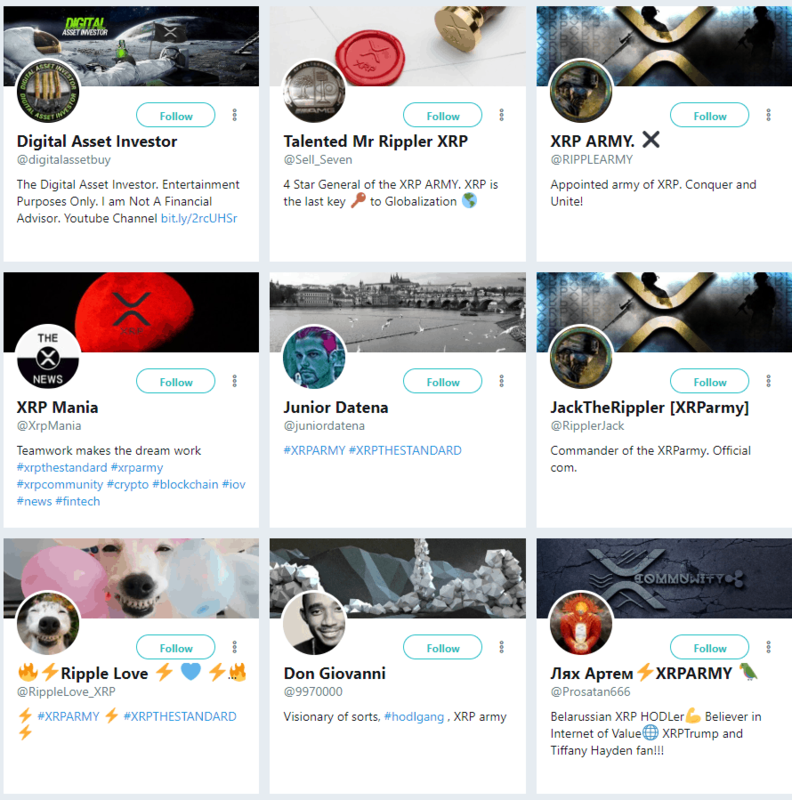 Ripple enjoys an enthusiastic following within the online community. This community has grown stronger since XRP held up better than other cryptocurrencies during the recent cryptocurrency bear market. Its recent climb to the number two spot in the market capitalization rankings has also helped its cause. Most of the negativity surrounding Ripple and XRP comes from the debate about decentralization and the distribution of tokens. Users are vocal both for and against XRP with robust opinions on both sides of the argument. Chokri Ghanmi, a social media influencer and online marketer, thinks that the price of XRP will reach $10 by 2020, since Ripple can process more transactions than BTC and ETH combined, at a much lower cost. On the other hand, the EFA (Economic Forecasting Agency) predicts that Ripple’s products will lose adoption and the price of XRP will fall to $0.30 by the end of the year 2018. Ripple is the second biggest altcoin by market capitalization, and currently the biggest by number of employees. Its technology allows almost instantaneous cross-border transfers with negligible costs. The company holds substantial financial capital and has proven to be effective at gaining business partnerships, fueling the belief that down the line, it could succeed at gaining global adoption for its token, XRP. If adopted globally, it could immensely assist the financial sector by allowing them to trade both liquid and illiquid pairs with high speed and at a fraction of the current costs. While nothing is certain regarding the global adoption of XRP, there is no denying the potential benefits it offers to financial institutions worldwide. Don’t forget to check out the latest Ripple News on [blokt]. What Is Ripple? What Is XRP? Ultimate New Guide Based on Extensive Research was originally found on copy trading cryptocurrency | Blockchain News | Bitcoin News | blokt.com.